​can you really ​transition from "corporate to creative" and ​not fear going without a paycheck ? ​I teamed up with 12 experts in the creative design and digital marketing worlds to reveal their go to strategies to run a creative business with purpose that more than pays the bills! ​You're taking baby steps to realize your entrepreneurial dreams. ​You've reached a plateau with your traditional "day job" and ready for something more, something rewarding. You want to take charge and make your own rules. ​​You have this creative gig on the side that makes a few dollars here and there but it's not consistent. You want creative freedom now! So get off the sidelines and stop daydreaming over what could be. ​ Supplement what you've learned from the free Challenge with a series of webinars featuring EXPERT tools and content. Keep the momentum going and don't miss this important opportunity. 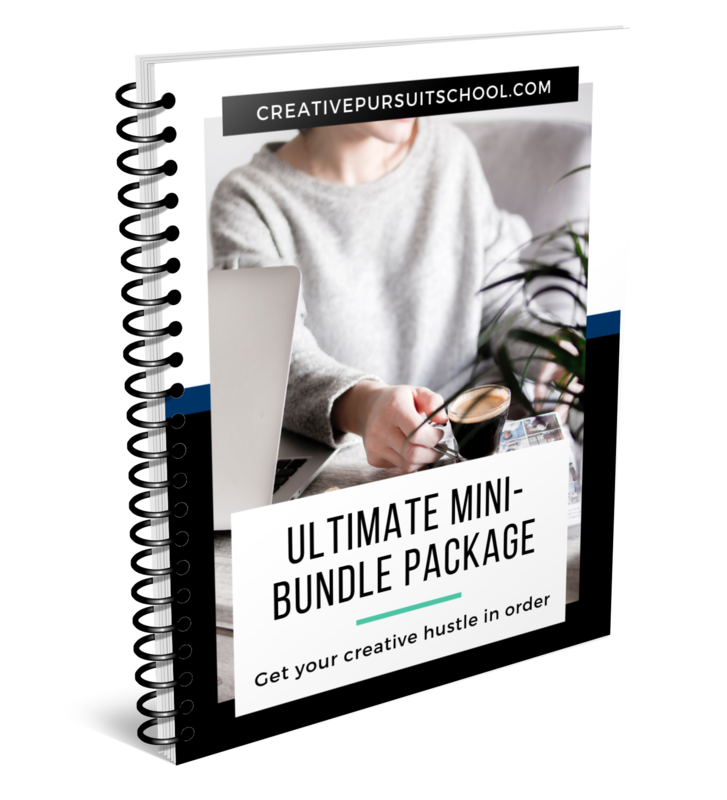 ​​​Get direct access to 4 mini-bundle packages rolled into one for your convenience and instantly view 12 webinars with over 6.5 hours of viewing content revealing expert strategies you can start using right now. ​​Access all session notes and highlights with detailed summaries of each webinar. ​​Swipe my Top Tools and Resources Special Guide for your own personal use which include a Branding Avatar Template, Brand Design Board Template, 30-day Post Calendar for Social Media, Recurring Revenue Tip Sheet and Blog Checkup Checklist. ​PLUS get a copy of the Blog Starter Strategy Pack that lays out steps to start a blog painlessly and simple. You'll also get a list of over 200 Instagram Hashtags for creatives so no more wasting time searching for what's trending. ​I'm also throwing in for a LIMITED TIME OFFER access to the Empowerment Toolbox that includes ​what you need to do now to help you prioritize and make time for yourself AND realize the power of thinking big to motivate and empower you to grow your business over and beyond the typical just getting by approach. The bonus includes two E-books and a fillable workbook to plan out a strategy and track your progress. ​​I learned so much about so many different design topics. I can’t wait to sit down and start strategizing how to incorporate what I learned into my business. I appreciate all you did to make this happen. ​I have to say I’m so impressed with everyone! Please give everyone a big thank you from all of us designers for giving their time. ​How do I access the webinars and content? ​​When your purchase is complete, you will receive a confirmation email with all the access details. ​How long is the content available? ​​All content is available indefinitely but do make sure you view the content sooner rather than later to start learning today. ​​Most major forms of credit cards are accepted and processed through PayPal. You do not need a PayPal account. ​So who am I to talk to you about connection and resources and creative freedom?? Well, I’ve been creating and managing educational and research programs for over 20 years. I even went to school for it. I’ve always loved using research to help people learn, take action and make meaningful connections. Now I use that know-how (or you can call it a super power) to help creatives level up and focus on their creative sweet spot! ⠀· I stand for creatives to stop standing on the sidelines and push themselves to run a smart, valuable and profitable business. ⠀⠀· I’m part of a movement for everyone to express their creative outlet and share their design gifts with the world. ⠀⠀· I declare war on being stuck in a soul sucking 9-5 funk and not profiting from doing what you love. ⠀⠀· I am redefining the “hustle”. Taking creative entrepreneurs out of a confused and overworked haze in exchange for a fresh and focused experience. 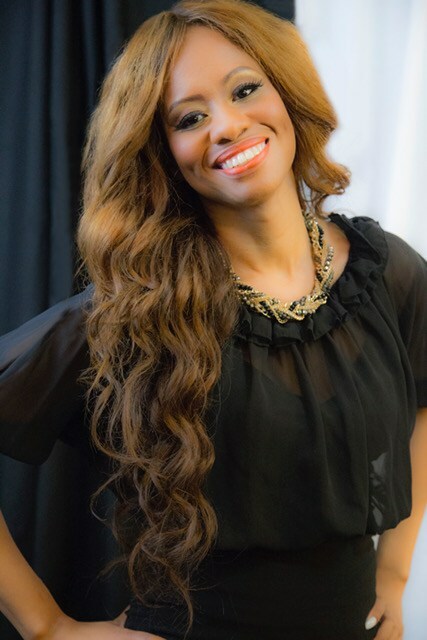 Tarsha is committed to helping other creative entrepreneurs avoid design business pitfalls and make money pursuing their creative passions. Copyright © 2018 Creative Pursuit School. All rights reserved.